For decades, consumers have been exposed to asbestos through off-the-shelf products containing talcum powder. Historically, consumers used talc in products like Johnson & Johnson’s Baby Powder and Colgate’s Cashmere Bouquet, amongst others. In fact, talc is still used in the non-corn starch version of Johnson & Johnson’s Baby Powder. As a mineral, talc is mined from the earth and is often found so closely together with asbestos that the two can be effectively inseparable. Asbestos is a dangerous mineral that has been found present in talc since testing began in the early 1960s. Indeed, there is evidence that certain companies found asbestos in talcs in the 1950s or earlier. Asbestos is a toxic substance that is the sole cause of the cancer called mesothelioma. Mesothelioma has a latency period of 10 to 50 years or more, with an average latency of 35 to 40 years, often causing illness long after its victim has been exposed to asbestos. As a result, the use of talcum powder products contaminated with asbestos can cause mesothelioma at any time throughout one’s lifetime. Testing conducted on consumer available talc products was published in the 1970s by Mt. Sinai hospital. It showed that off-the-shelf talc products were contaminated with asbestos fibers: “10 of the 19 American samples contained from 2 to 20 percent asbestos fibers.” In 1972, the FDA’s own testing revealed 59 prevalent cosmetic talc products as having asbestos contamination. The brands included, but are not limited to: Avon Unforgettable, Cashmere Bouquet, Johnson & Johnson Shower to Shower, Mennen, Avon Unforgettable, and even more. Recently, the federal government’s Center for Disease Control and Prevention (“CDC”) reported that while mesothelioma is declining in prevalence, diagnoses among certain groups have stayed the same. The CDC suggests that this may be due to the use of consumer products contaminated with asbestos, and cites a recent study on asbestos exposure from the use of cosmetic talc throughout her life. According to a study published by the National Center for Biotechnology Information, “mesothelioma may be directly attributed to the use of talcum powder contaminated with asbestos,” and “using talcum powder in enclosed spaces may increase the likelihood of inhaling the powder laced with asbestos.” Repeated application of talcum powders increases the opportunity for inhalation, as the powder disperses into the air during application to the body. This is especially true for talcum powders intended for use on the body and face. Therefore, those who use talcum powder or those who come into close contact with it—such as barbers who use these products on their clients, people using these products at home, or those who handle the clothing of those who use talcum powder products—are at risk for inhalation and its adverse effects. In 1986 the Environmental Protection Agency (“EPA”) published a piece intended to help automotive workers avoid asbestos contamination, and reaffirms the consensus that “there is no known level of exposure to asbestos below which health effects do not occur.” Therefore, we now know that many mesothelioma cases that were previously deemed as “idiopathic”, i.e. having no known cause, may be attributed to the use of talcum powder products. MesoLawyersCare has recovered over $10 billion for its clients. 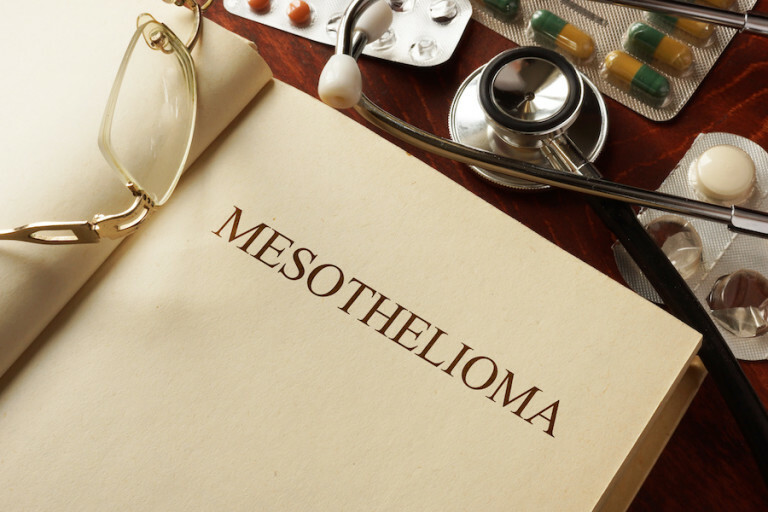 If you or a loved one has been diagnosed with mesothelioma, contact the experienced MLC attorneys at 1-888-568-1177 for a free consultation. MesoLawyersCare has the knowledge and resources necessary to go against the large corporations that wrongly exposed auto mechanics and their loved ones to asbestos—we will fight to get you and your family the financial compensation you deserve.